Are You Holding Your CEO Accountable? Which of the following situations best describes your board? A. Board members may attend meetings, listen to the CEO talk about what has been accomplished during the month and what the plans are for the future, decide subjectively what the CEO’s pay increase and/or bonus should be, approve whatever the CEO recommends, let occasions slide if the CEO doesn’t get things done in a timely manner. B. Board members attend all board meetings and may try to attend staff meetings as well, tell the CEO exactly what they want done and who should do it, question every decision the CEO brings to them, let even minor actions or inactions have an effect on the CEO’s pay increase or bonus, monitor the CEO’s every move. C.    Board members attend all board meetings, clearly set expectations for the CEO’s performance, challenge the CEO respectfully and appropriately at meetings, create a largely objective performance plan for the CEO and determine the CEO’s pay increase and bonus based on the level of achievement of the plan, follow-through and approach the CEO if expectations are not met. I hope you said “C”. The board described in “A” above is a “rubber-stamping” board. Or, as one of my clients called it, “it’s a lackadaisical board”. Many times, organizations like the one described in “A” do not grow and prosper unless they have an extremely good and self-motivated CEO. If not, they will either stay where they’re at or fall behind. The board described in “B” above is at the other end of the spectrum and is a micro-managing board. The board and CEO responsibilities are not well defined in this situation. Not many organizations with boards who micro-manage can keep their CEO for any extended length of time. The situation described in “C” above gives us a picture of a well-functioning board (even though we only have a short description). What makes this situation the one you want your board to emulate? This board holds the CEO accountable. 1)    Clearly set performance expectations for the CEO. 2)    Monitor his/her performance along the way. 3)    Provide regular feedback – good and bad. 4)    Ensure that things get done. 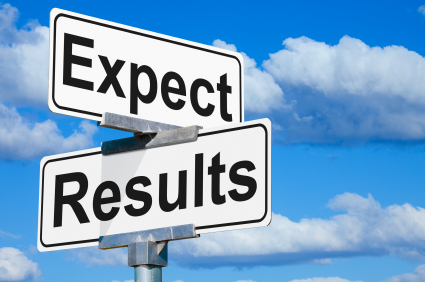 5)    Take action if performance expectations are not being met. How is your CEO doing? More importantly, how are you doing as a board? Are YOU doing YOUR job?